On this Veterans Day it was difficult to choose a subject from the many stories of service to our country by Duxbury’s men and women. Much has been written about our brave soldiers, so I thought I would shed light on a woman, Annie Laurie Williams. 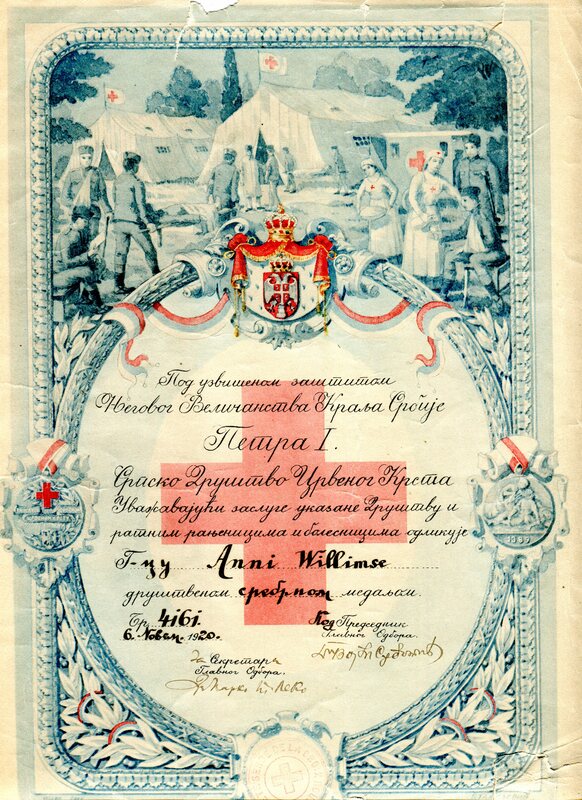 Williams was a dedicated Red Cross nurse who served in the Eastern European theater at the end of the first World War. She was born in Rhinebeck, NY in 1879 but spent thirty-nine years in Duxbury so I think we can claim her as one of our own. When WWI broke out, Williams was already an established aid worker. She had served as matron on Ellis Island and as a nurse in its hospital. Nothing she had witnessed helping the immigrant poor in New York, however, would have prepared her for the hardships she faced in war torn Europe. In 1919 she was sent to Siberia to assist with refugee children displaced by the Russian Revolution. While there she lived in a box car apartment and experienced temperatures 73 degrees below zero. In Omsk, a town in southwestern Siberia, she had a run in with a Russian soldier whom she punched in the jaw twice when he attempted to enter a railroad car of female refugees. Williams came home to the US in 1920, but returned to Europe the following year to assist with orphan relief in war ravaged Serbia, establishing clinics and nursing children. 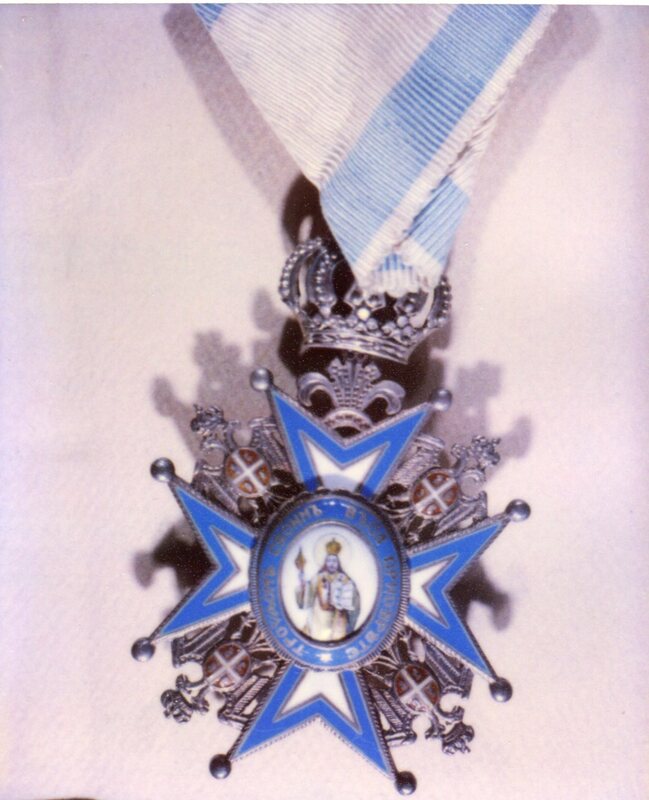 For these efforts she was awarded a medal of the Order of St. Sava by the Serbian king, Peter. During her Red Cross tenure she also received a medal of merit by the Serbian Red Cross and a silver belt buckle from Russian Cossaks. In 1922 she settled down to a quiet life Duxbury – census records show her renting for a time on both Washington and Harrison Streets. She worked as the school nurse for many years and also taught basic first-aid. 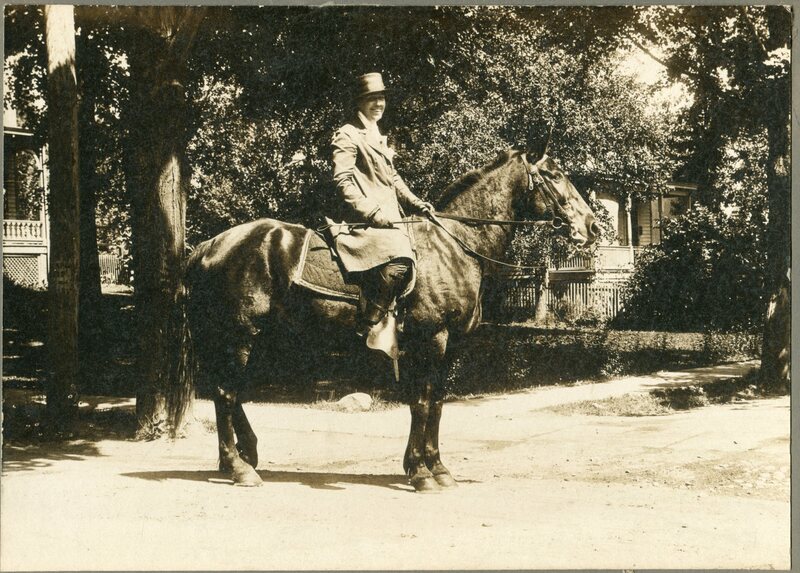 Each year she rode in in the 4th of July parade and was an honored participant in Duxbury’s Tercentenary celebration in 1937. The Drew Archives has a wonderful album she created of photographs and memorabilia from this year-long event. Annie Laurie Williams died in 1961, at the age of 82, in the Jones River Nursing Home in Kingston. She is buried in the Mayflower Cemetery. The Duxbury Rural & Historical Society gives thanks to all the men and women who have served our country. http://blogs.ancestry.com/cm/2014/04/21/red-cross-nurse-throws-down-with-russian-bully/ accessed Nov. 11, 2014. 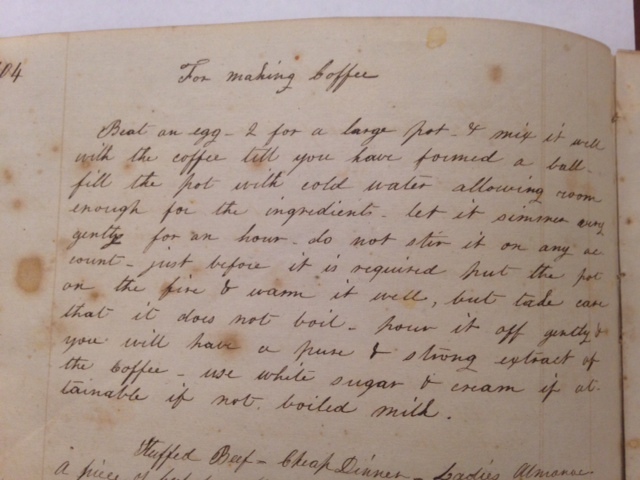 I have mentioned the19th century cookbook (c. 1860-1890) created by Lucia Alden Bradford and her sisters in this blog before, but I couldn’t resist bringing it out once again. It is such a wonderful piece of history – a compilation of popular recipes copied from a variety of sources, including neighbors and the Ladies Almanac. The book is meticulously laid out, with chapters for Cakes and Puddings, Meats, Vegetables and “other useful Receipts of various kinds.” There is even an index. I can only imagine the creation of this little book was a labor of love – gathering and organizing the many snippets of paper and magazine clippings that had accumulated over a lifetime. When a recipe originated with a friend, her name is properly given. The writing is mostly in Lucia’s neat and recognizable penmanship. Some recipes were obviously added later and these are written in the loose scrawl of a hand that had seen almost ninety years of use. I could not tell you my favorite recipe. I am not a great cook and many of the ingredients are foreign to my modern eyes (and taste buds). In many instances there are no cooking directions as we’d expect to find today – no oven settings or baking times. Of course, 19th century hearths and later wood stoves didn’t come with temperature gauges or timers so cooks had to know their own equipment. Other recipes are incredibly explicit, e.g. I feel confident I could cure a ham if I had a freshly slaughtered pig, a smokehouse and about two months. Beat an egg – 2 for a large pot & mix it well with the coffee till you have formed a ball – fill the pot with cold water allowing room enough for the ingredients – let it simmer very gently for an hour – do not stir it on any account – just before it is required put the pot on the fire & warm it well, but take care that it does not boil – pour it off gently & you will have a pure & strong extract of the coffee – use white sugar & cream if attainable, if not, boiled milk. 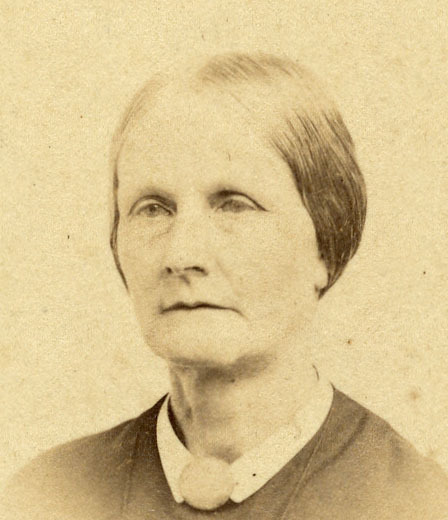 Lucia Alden Bradford (1807-1893) was the daughter of Capt. Gershom Bradford and Sarah Hickling Bradford. 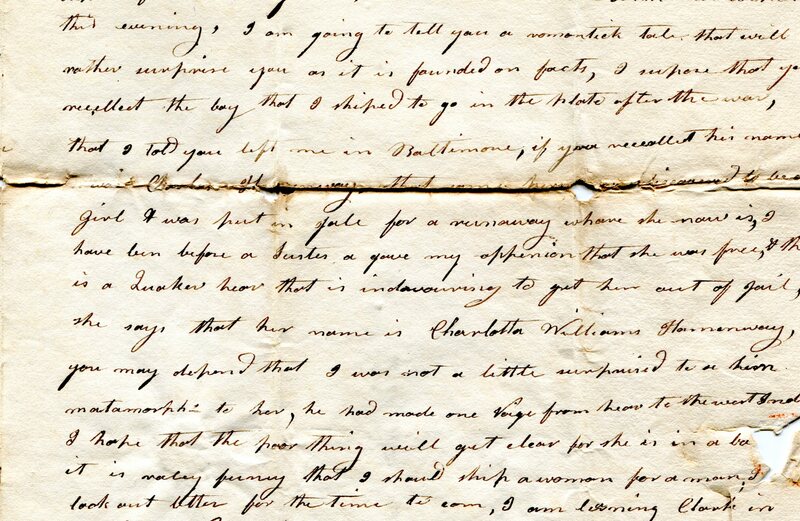 She, along with her three sisters – Maria (1803-1864), Elizabeth (1809-1890) and Charlotte (1813-1893) – was raised and learned to cook in the Bradford House on Tremont Street in Duxbury. Today the house is a museum owned by the Duxbury Rural & Historical Society. Diver H.W. Phillips at Shirley Gut with the Deer Island Alms House in background, Oct. 1893. Deer Island, so called because of the deers that swam to safety on its shores when pursued by wolves, is actually no longer an island. It is a peninsula stretching into Boston Harbor from Winthrop. The Shirley Gut that had separated the island from the mainland was filled in by beach erosion during the devastating hurricane of 1938. Today it is home to the Deer Island Waste Water Treatment Plant. In 1893, however, when these photographs were taken, it was still best known for the large gothic-looking Alms House that loomed over the shoreline. The “deserving poor” of Boston began being ferried out to the island in 1853. In 1896 the Alms House became Deer Island House of Correction (the prison was closed in 1991). 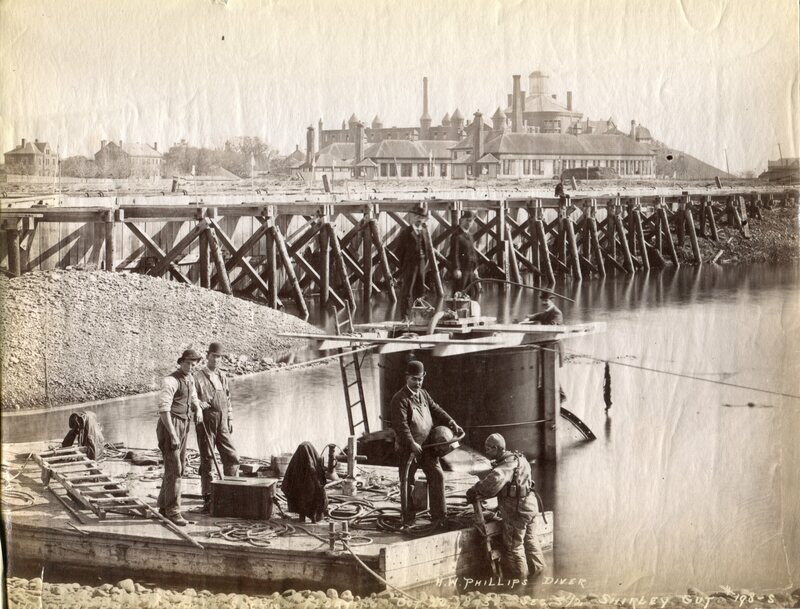 In April, 1893 the Board of Metropolitan Sewerage Commissioners received approval for plans to construct a sewer and siphon across the Shirley Gut between Point Shirley and Deer Island. The photographs of this work are wonderful. It was obviously no small task to dredge and create this system. The image of the diver, H.W. Phillips, suited up in his primitive (and heavy) equipment, about to don his helmet, with the Alms House in the background, is particularly interesting. 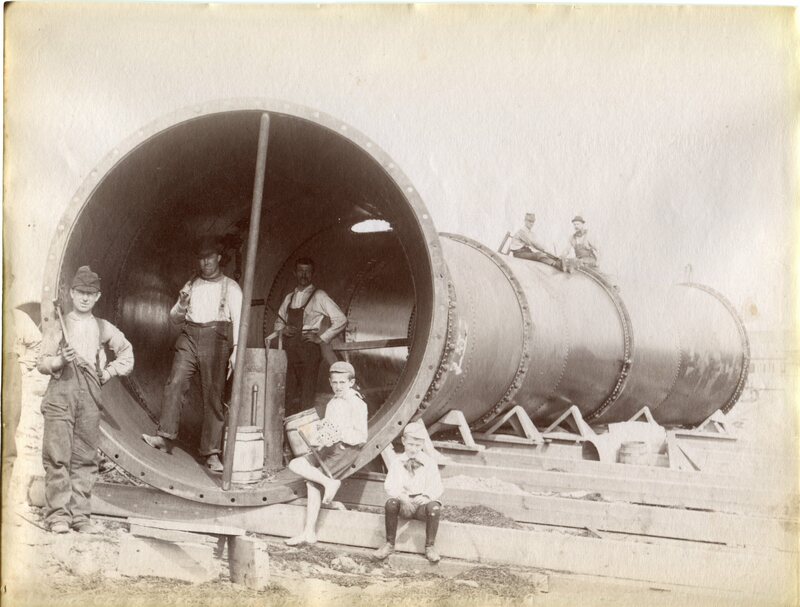 Of equal note are the workers and children sitting in the large center section of the siphon. 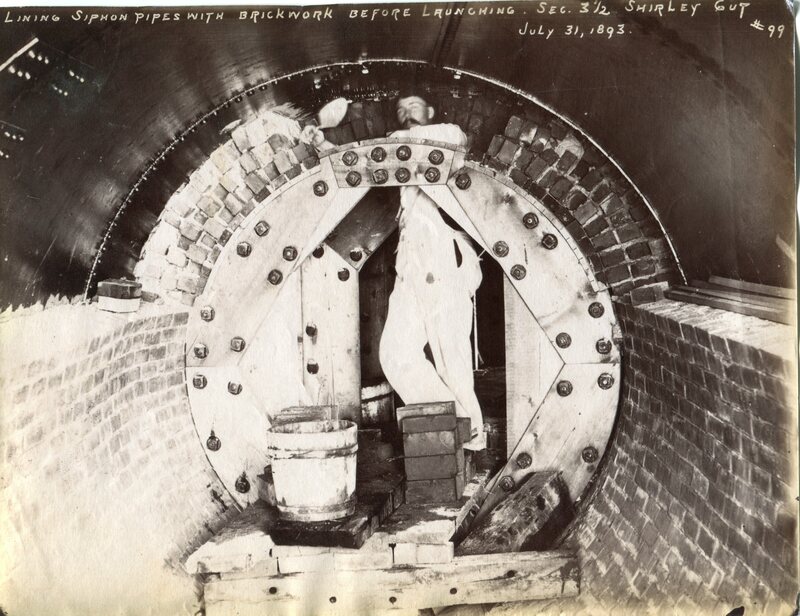 Mason lining the siphon pipes with brickwork before launching, Shirley Gut, July 1893. Laurence Bradford, the son of Rev. 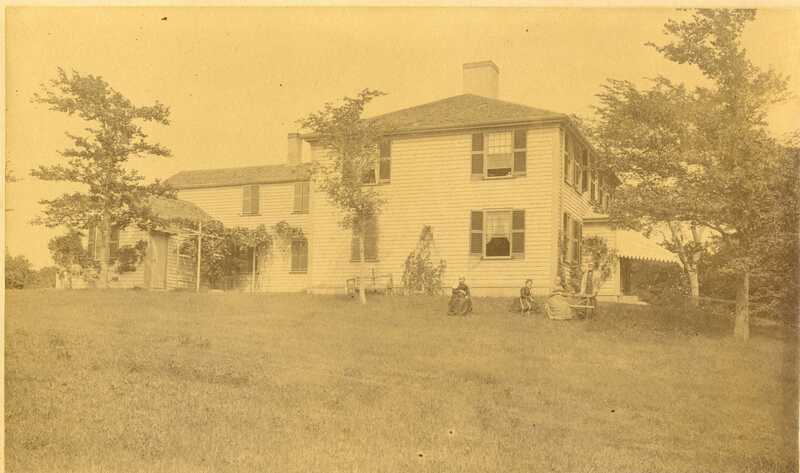 Claudius Bradford and Maria Weston Bradford, was one of the owners of the Duxbury Rural & Historical Society’s Bradford House, located at 931 Tremont Street, Duxbury. He inherited the house after his aunts, Lucia and Charlotte Bradford, passed away in 1893 – coincidentally, the same year these photographs were taken. Laurence and his wife, Hattie Phipps Bradford, used the family homestead only during the summer months. Their sons, Gershom and Edward Bradford, donated the home, its contents and its vast archival collection to the DRHS in 1968. 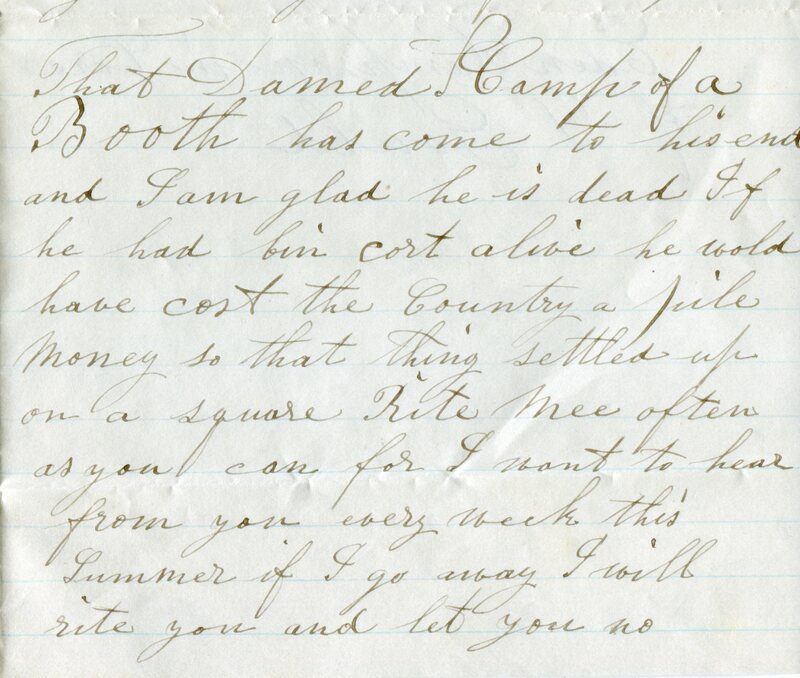 Letter from H. A. Carson, Chief Engineer of Metropolitan Sewerage Commission to “Whom it May Concern,” Feb. 28, 1894. Bradford Family Collection, Drew Archival Library. 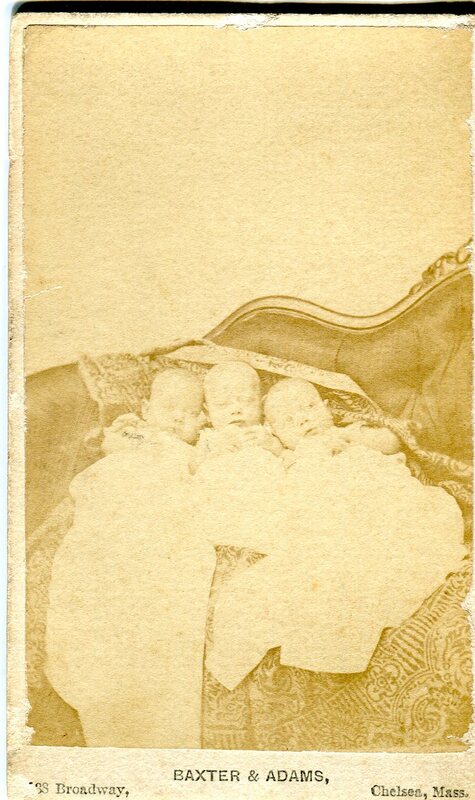 The survival rate of triplets in the mid-19th century was not high – neither for mother nor children. A home-birth with the assistance of the local doctor was dicey at best. Medicine of the day was also woefully inadequate to assist these undersized or premature babies once they were born. So, it is surprising that Catherine Drew Delano (1833-1919) was able to produce three healthy babies on a cold winter’s day in January, 1868. 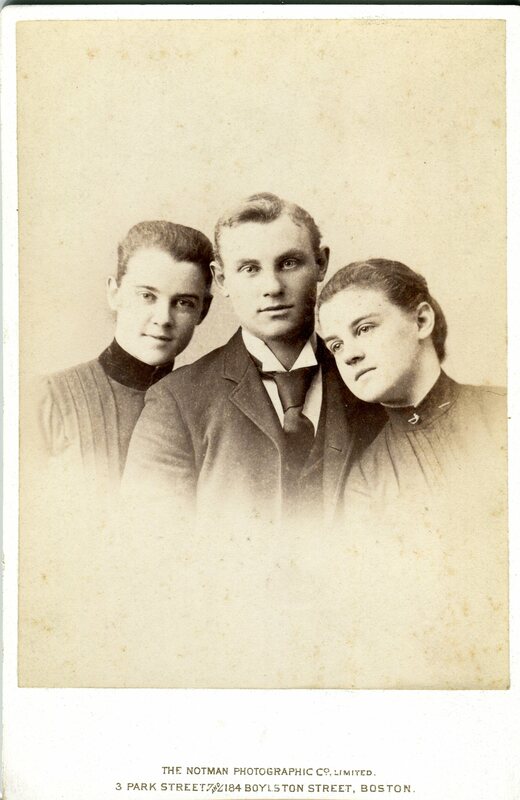 The children – two girls and a boy – were Caroline S. Delano (1868-1955), Grace T. Delano (1868-1935) and Benjamin Franklin Delano (1868-1920). What makes their coming into the world even more special, are the four photographs that follow them from infancy to their teenage years. A remarkable record of their early life. 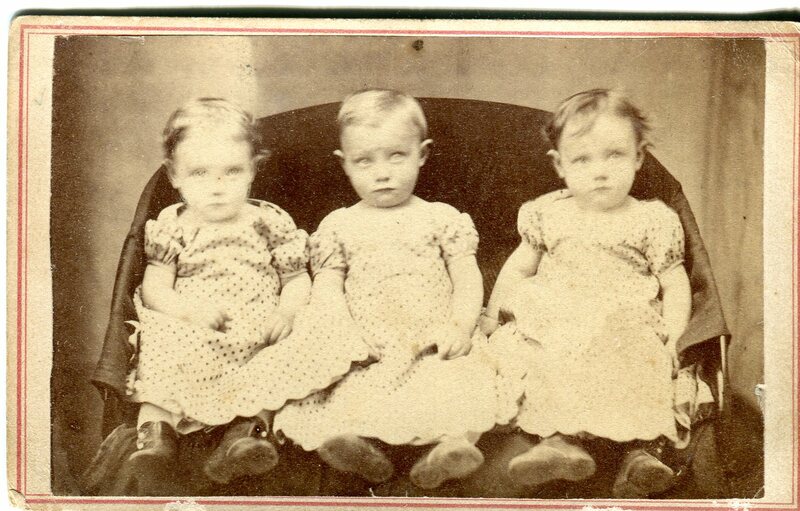 The triplets were born in Chelsea, MA but they are from Duxbury stock and spent much of their lives here. Their father, Winslow T. Delano, was the son of Capt. Samuel Delano and the nephew of Capt. Amasa Delano. After a short stint following the California Gold Rush, Winslow returned east and entered is brother’s shipbuilding firm on Lincoln’s Wharf in Boston – B. F. Delano & Co. 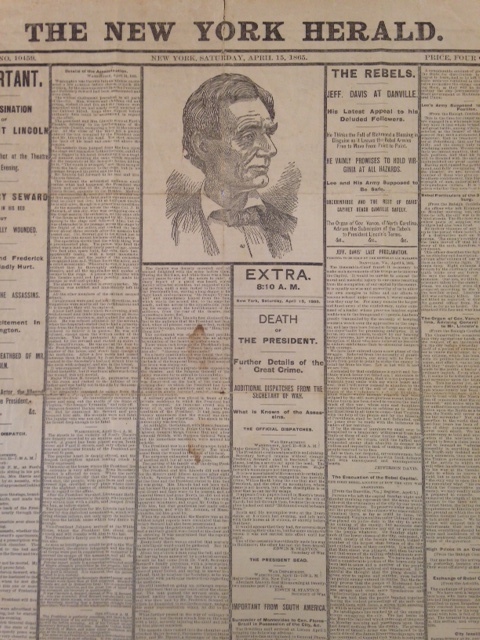 In 1855 he married Catherine D. Winslow of Duxbury. 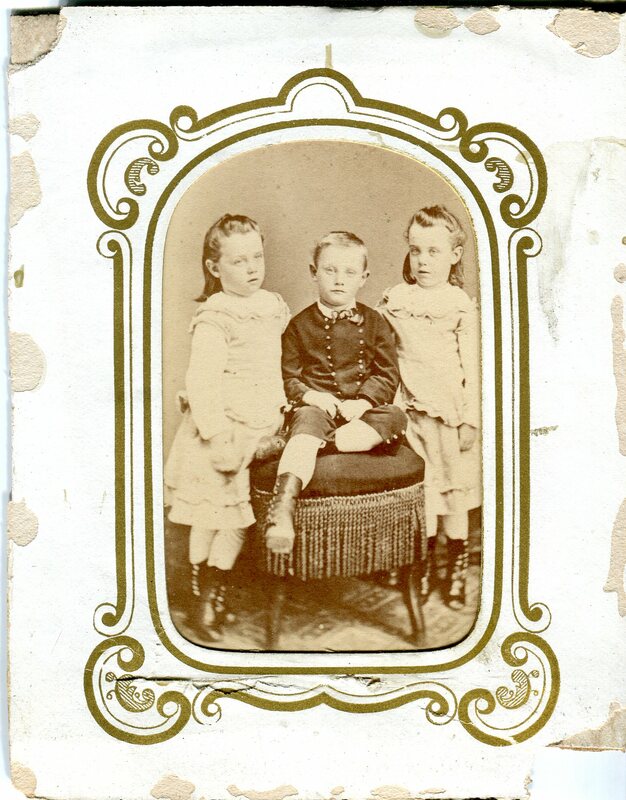 Two sets of twins came in quick succession – Fanny and Emily in 1857 and George and Arthur in 1859. In each of these cases, a twin sadly died within three months. When the triplets arrived, therefore, they were greeted not only by their grateful parents, but also only two older siblings. But, in a cruel twist of fate, while the triplets thrived, it was their father who did not live past three months of their birth. 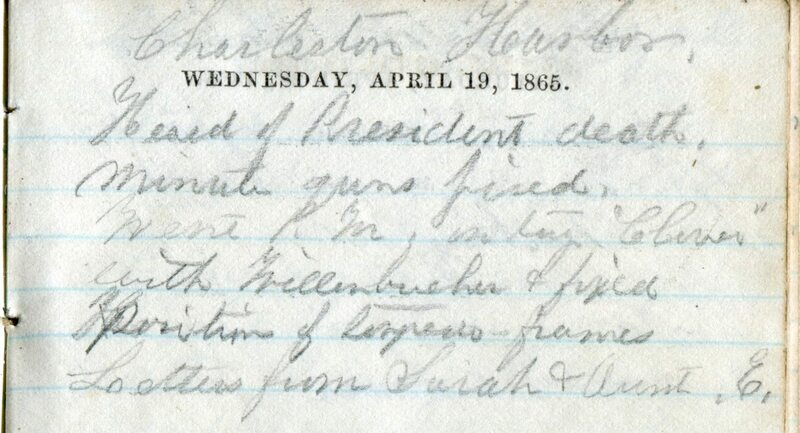 On April 23, 1868 Winslow died of “softening of the brain.” This diagnosis could indicate a variety of causes, but it was most likely a cerebral hemorrhage. He was only 47 years old. Catherine was now the widowed mother of five young children. The 1870 census shows the family having left Chelsea and living on St. George Street in Duxbury next to the home of Catherine’s parents – George Winslow and Hannah Drew Winslow. This move ensured that Catherine had the help of not only her mother and younger sister, Georgianna Winslow, but also of a number of aunts, cousins and friends. 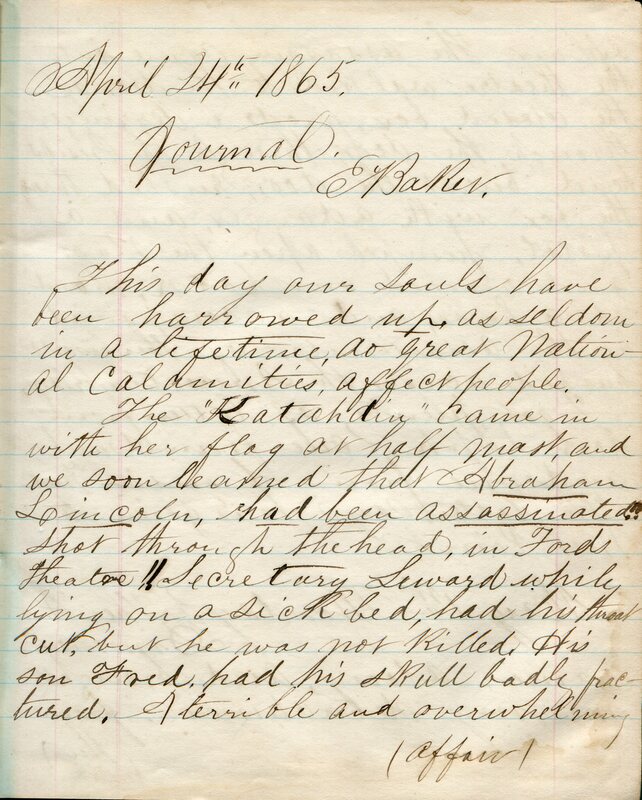 By 1880, however, the family had moved back to Boston and was living at 81 St. Botoloph Street. They divided their time between the city and the seaside, maintaining ownership of their St. George Street property throughout their lives. 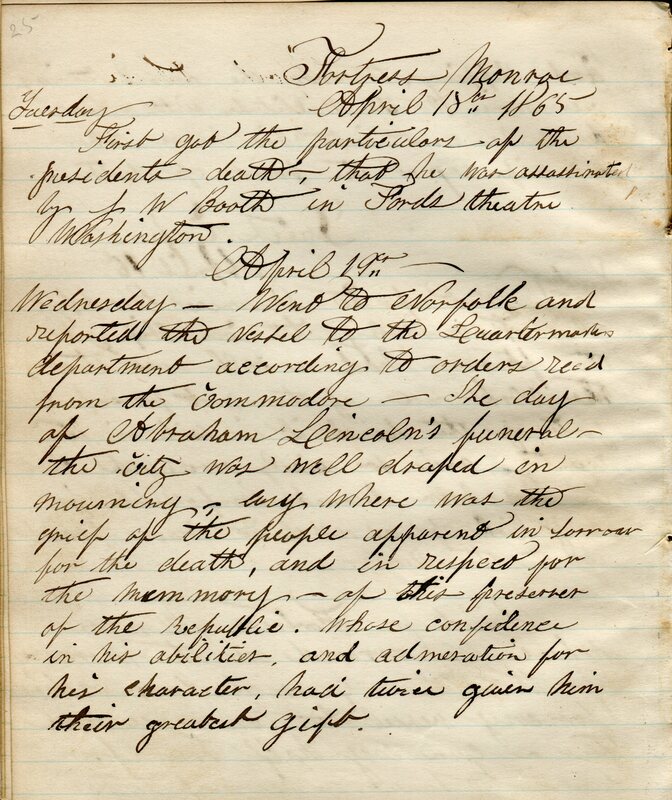 The Delanos were active in Duxbury’s civic and social affairs of the day – Caroline S. Delano, also called “Carrie,” was one of the founding members of the Duxbury Rural & Historical Society. Grace and Carrie never married and it does not appear that their brother did either – all are buried in their family’s plot in Duxbury’s Mayflower Cemetery.